The turban worn by Sikhs is an important religious garment. It’s called a dastaar, and it has spiritual significance to their faith. So when a man in the Punjab region of India began removing his dastaar in public, onlookers thought at first that he was disrespecting his faith. But he had a good reason for taking off the turban. 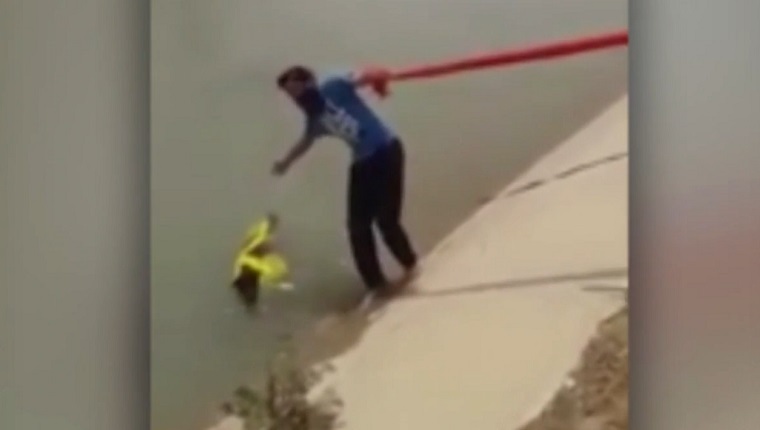 He wanted to save a dog from drowning. 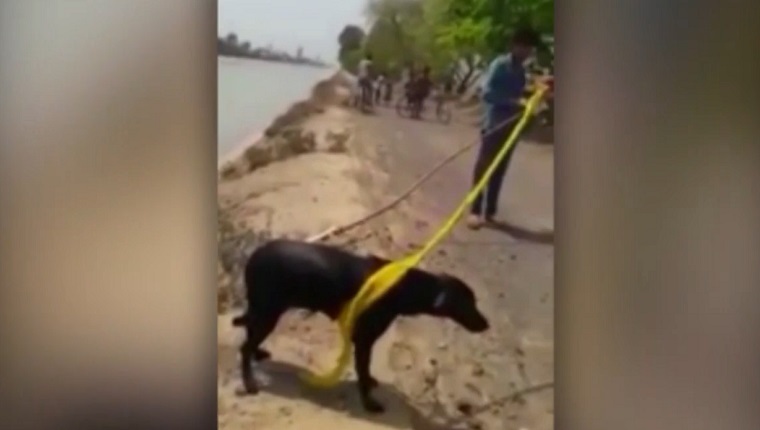 When Sarwan Singh saw a crowd watching a dog struggling in an irrigation canal, he was shocked that no one was helping the pup get free. Singh knew he had to act to rescue the drowning pup, and the only thing nearby that he could use to save the dog was his unwrapped turban. Initially the dog was frightened and swam away from Singh, but after following the dog for a while, he was able to wrap his turban around the dog’s neck and pull him to shore. He fed the frightened dog some biscuits, and they parted ways. Singh was praised by others on social media for showing true faith by acting with compassion, even if it meant potentially showing disrespect. The life of that dog was more important. I wish more people in this world had that kind of respect for life. Are you glad someone cared enough to save that dog? What would you do to rescue a drowning pup? Let us know in the comments below! Wag of the tail to Caters Clips on YouTube.